Matador editors selected this Community gallery for publication at the Network. I’VE HAD THE GOOD FORTUNE to visit Antarctica a dozen times. I find this part of the world wildly inviting, and I must not be alone. Traveling here has become more accessible than ever. 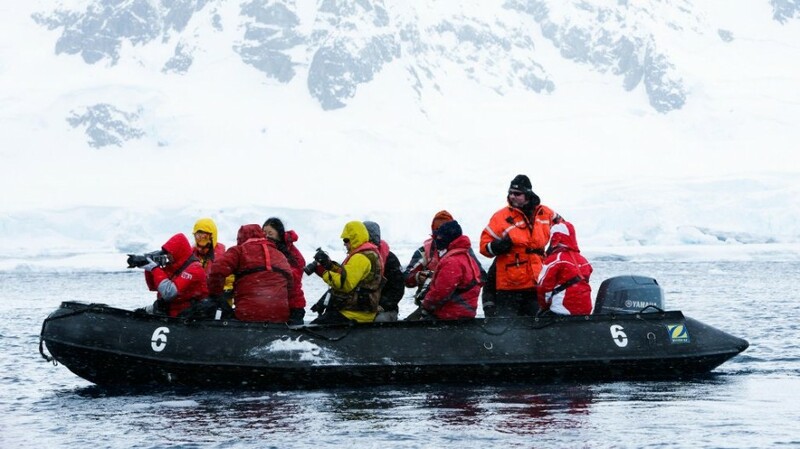 For my most recent trip, I signed on as a guide for a three-week journey that took us to the Falklands, South Georgia Island, and ultimately the Antarctic Peninsula, all aboard the Ocean Nova, run by Polar Latitudes. South Georgia Island's Gold Harbor is one of my favorite landings. On this particular morning, we left the Ocean Nova aboard the zodiacs used to chauffeur passengers to shore. Our landing itinerary began at 4am. When greeted by sunrises like this, there's hardly a grumbling about early morning departures. Our journey south began with stops in the Falklands and South Georgia. Seemingly, every square inch of shoreline on South Georgia Island is covered with wildlife -- thus its popularity as a travel destination. 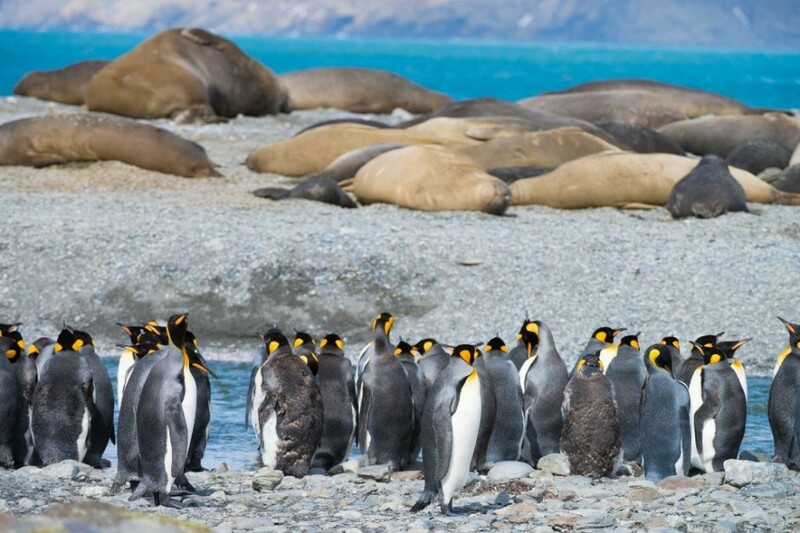 We visited this colony of King Penguins at another of my South Georgia favorites, St. Andrews Bay. Standing 3ft tall, the King Penguin is one of the largest penguin species in the world, second only to the Emperor Penguin. If at any time you need a break from penguins, the thousands of snoozing, belching southern elephant seals and their newborn pups provide the needed contrast. This time of year marks the one- to two-week arrival of elephant seal pups. Amongst the thousands of adults, newborn pups, literally hours old, are marked by the swarming gulls that feast on the afterbirth. Over the years, my travels in this part of the world have varied greatly, but I've found one consistency -- inconsistent weather. Dinner conversations will often include, "The blizzard in the middle of watching the sunrise was lovely, wasn't it?" "Mild" in Antarctica is relative, but polar ends of the weather continuum are a part of what makes this trip memorable. Reaching the shores of Antarctica, I've always enjoyed the photographic challenge of trying to accurately capture the scale and magnitude of this southern "white world." 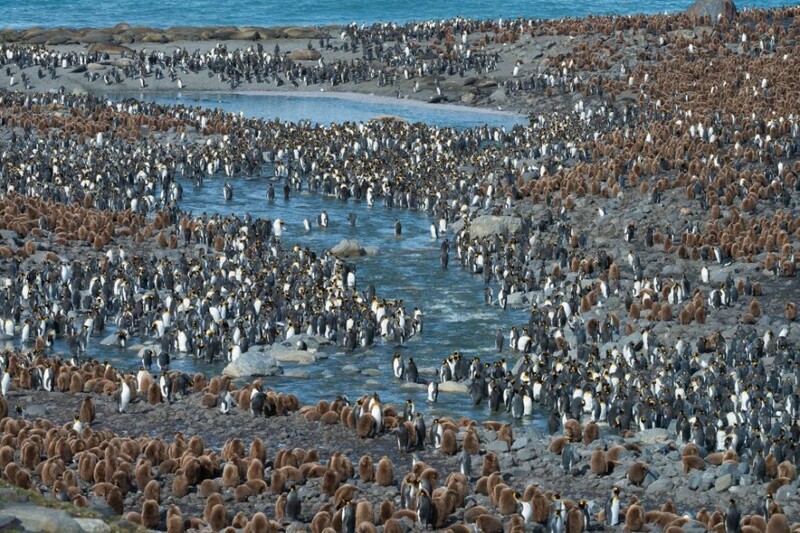 Adding elements like thousands of marching Gentoo penguins can certainly help in this regard. 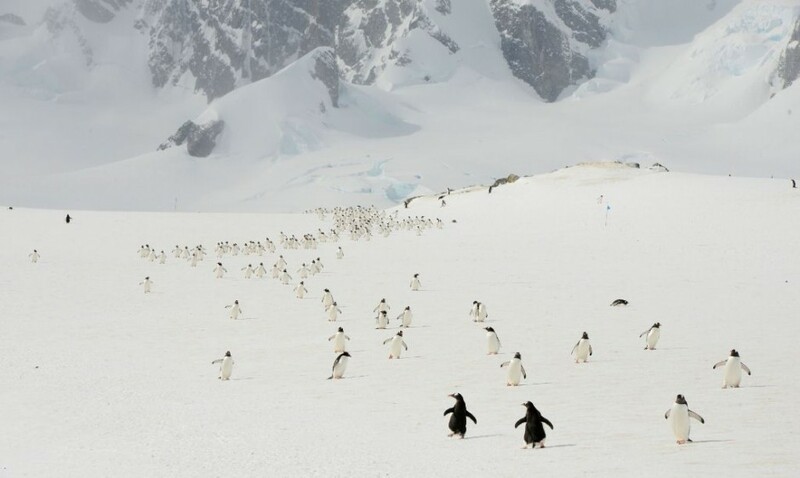 The "March of the Gentoos" went on for miles as they waddled toward the colony they were newly establishing for the season. 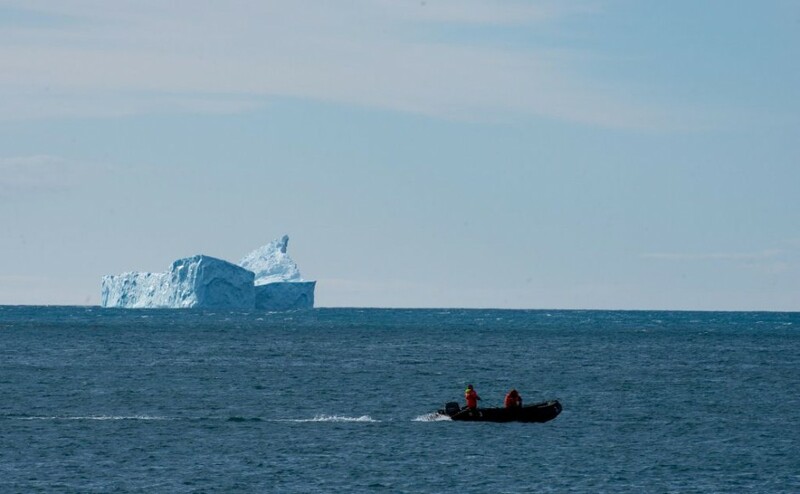 I challenge you to travel here and return home with no photos of icebergs. These frozen natural vessels vary as much in size and complexity as the weather in this part of the world. At times, icebergs seem to outnumber penguins. Shore-side landings are the duty of the Ocean Nova's several Zodiac inflatables. I came to appreciate the agility, stability, and ruggedness of these rubber vessels, though the impulse to keep my camera holstered on the ride in is difficult. 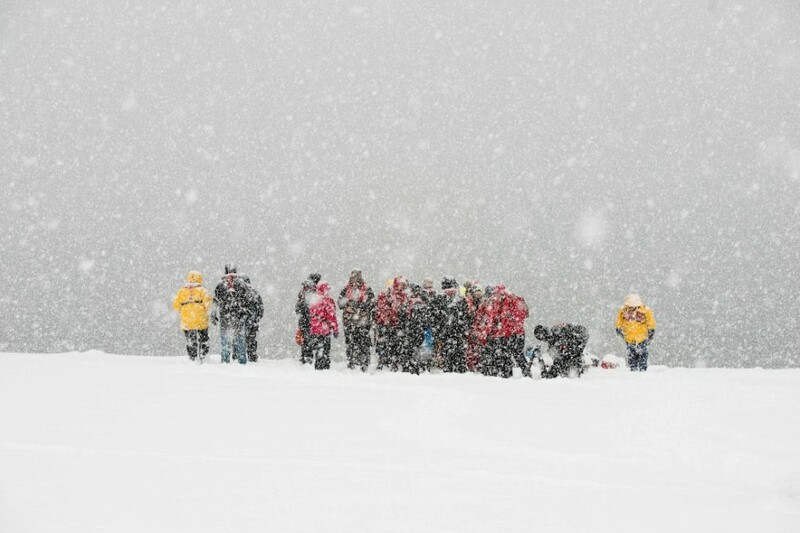 The shutter snaps from this group of adventurers might actually be louder than the outboard propelling them. My love for seals has suited me quite well in my adventures over the years. The Weddell seal, one of the most common seals in Antarctica, is known for its smile-like facial expressions. 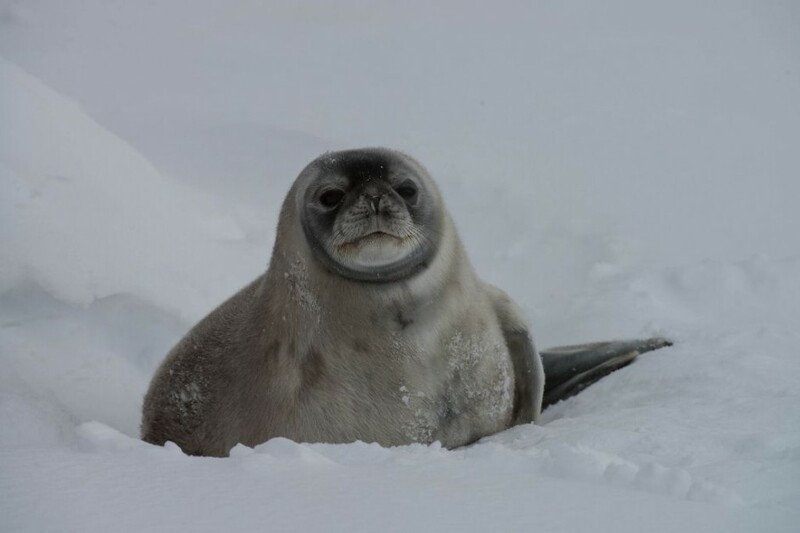 While I'm sure this seal is not smiling at me, he's probably laughing on the inside at my choice of outerwear. Sitting in the comfort and sophistication of the Ocean Nova, it's difficult to imagine the challenges of the early Antarctic explorers. I often wonder what Ernest Shackleton experienced as he first set eyes on the Peninsula -- seen here in the distance. 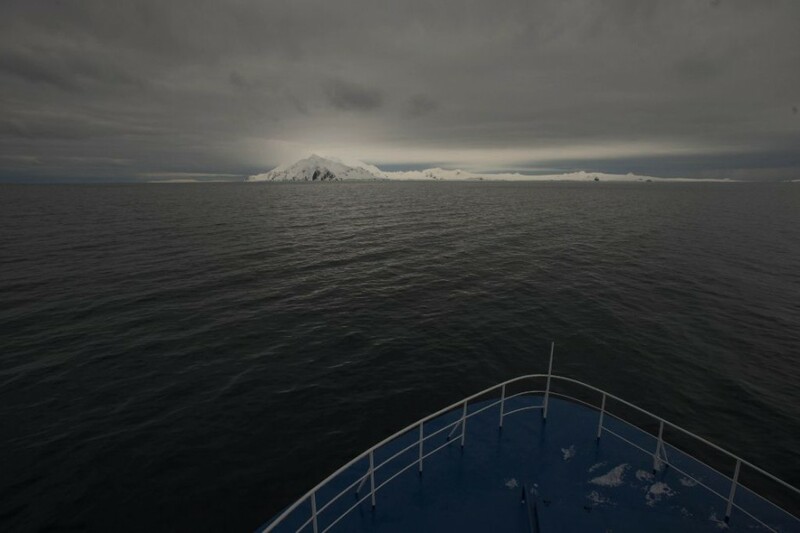 The ocean crossing to Antarctica is long, but seeing the continent for the first time (or the twelfth time) is magical. I have no doubt Sir Ernest Henry Shackleton felt the same. 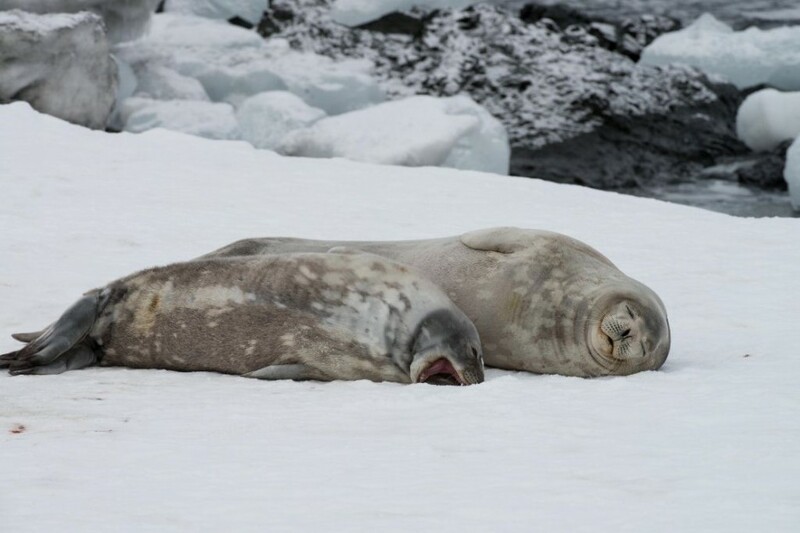 Weddell seal pups nurse for six to seven weeks before venturing to hunt for themselves. I imagine this pup and mum again mocking my outerwear at the expense of my self-esteem. The pup's laughter could be heard all the way back to the Zodiac. Setting foot on Antarctica marks the culmination of an energy that began at home. 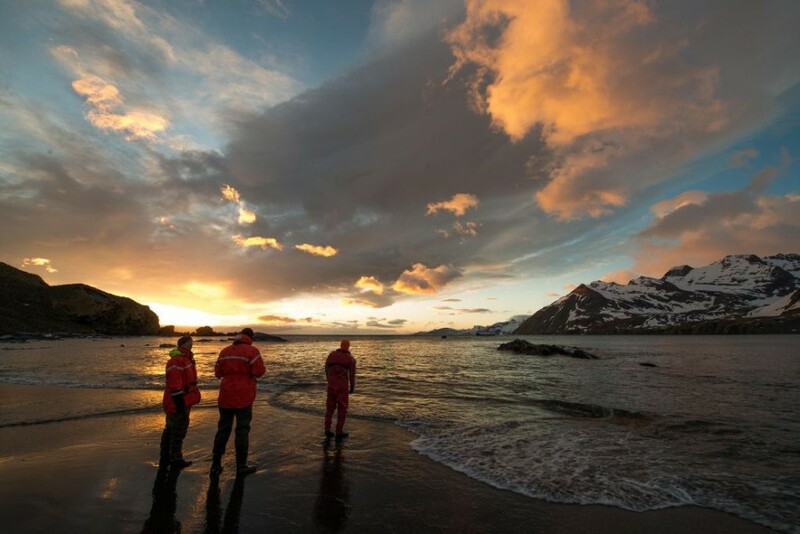 While Antarctica is much more accessible than people think, getting here takes time and planning -- well worth it to acquire a lifetime of memories previously thought of as unreachable. 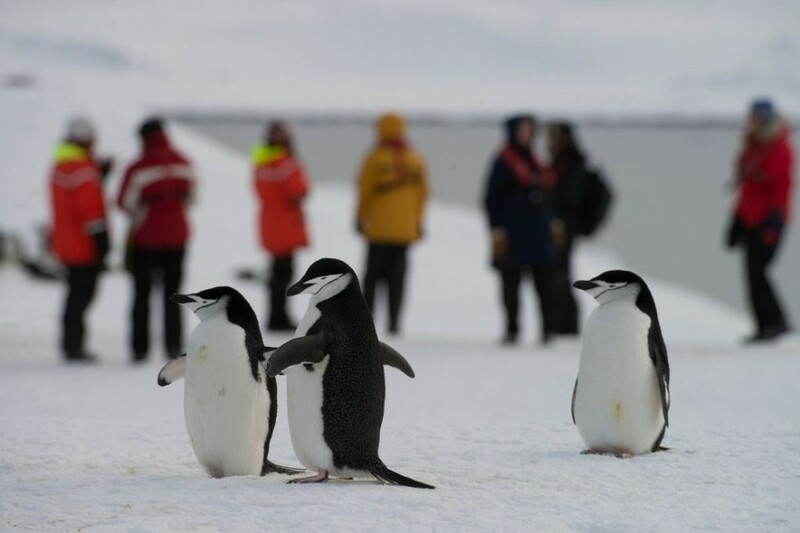 Adventurers in this part of the world will often be greeted by the locals, like this trio of Chinstrap penguins. I find Chinstraps some of the most aptly named animals in the world. After all, it can get windy down here. 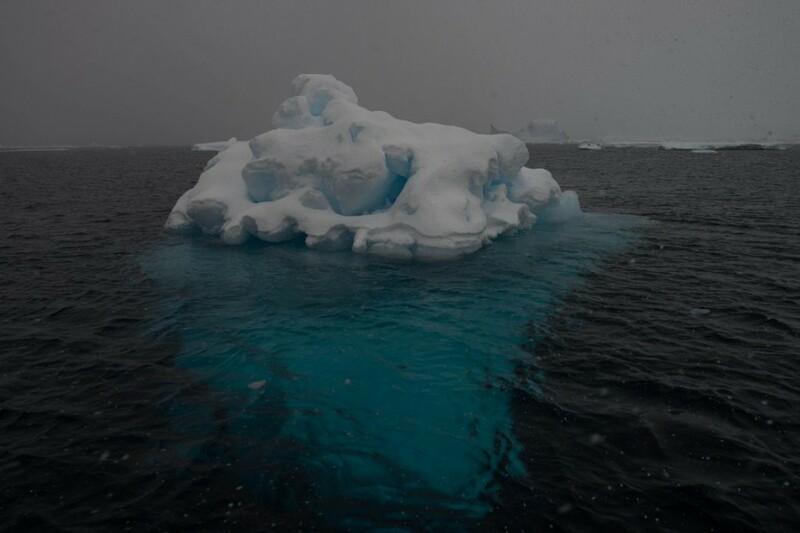 While the Antarctic oceans are wild, the Ocean Nova seemed at ease here. The farther south we traveled, the more comfortable I felt onboard. Leaning on the rail, I'd watch horizons get broken up with large icebergs. Guessing how large or how far away was the challenge.